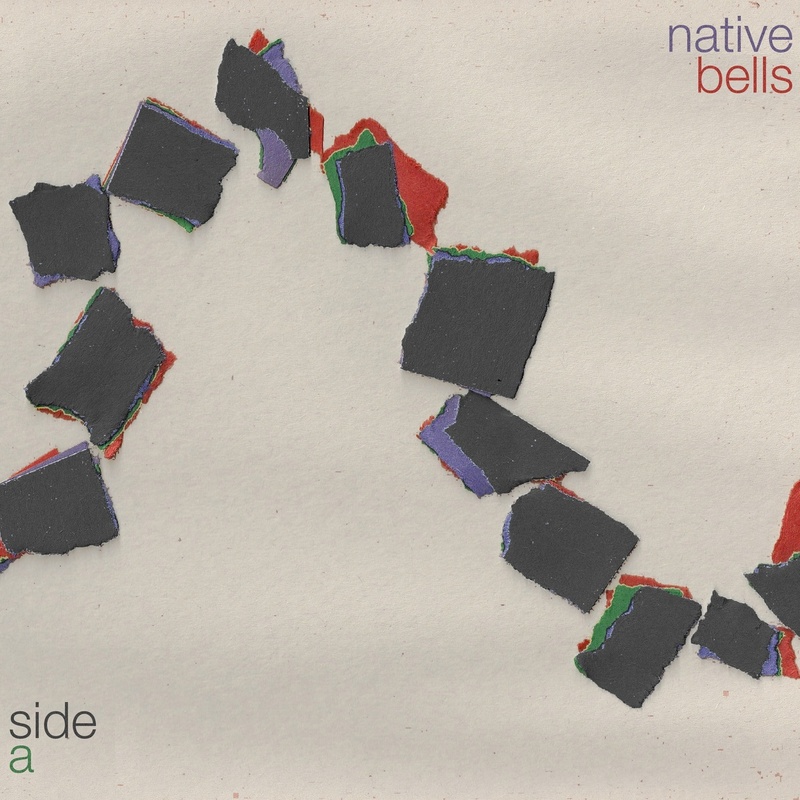 Album Review | Native Bells' Four-Sided Masterpiece. 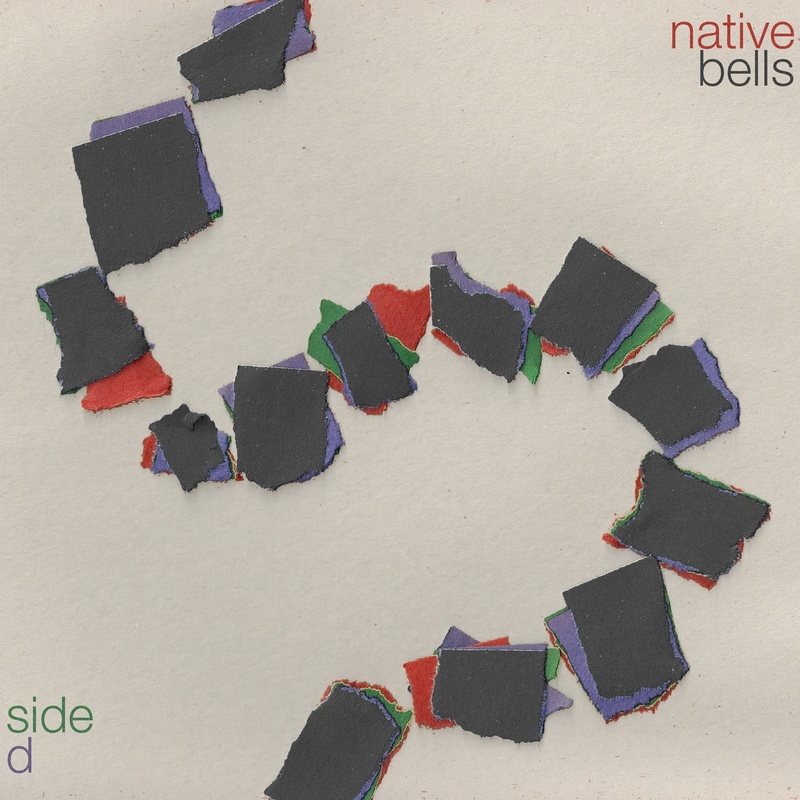 Album Review | Native Bells’ Four-Sided Masterpiece. 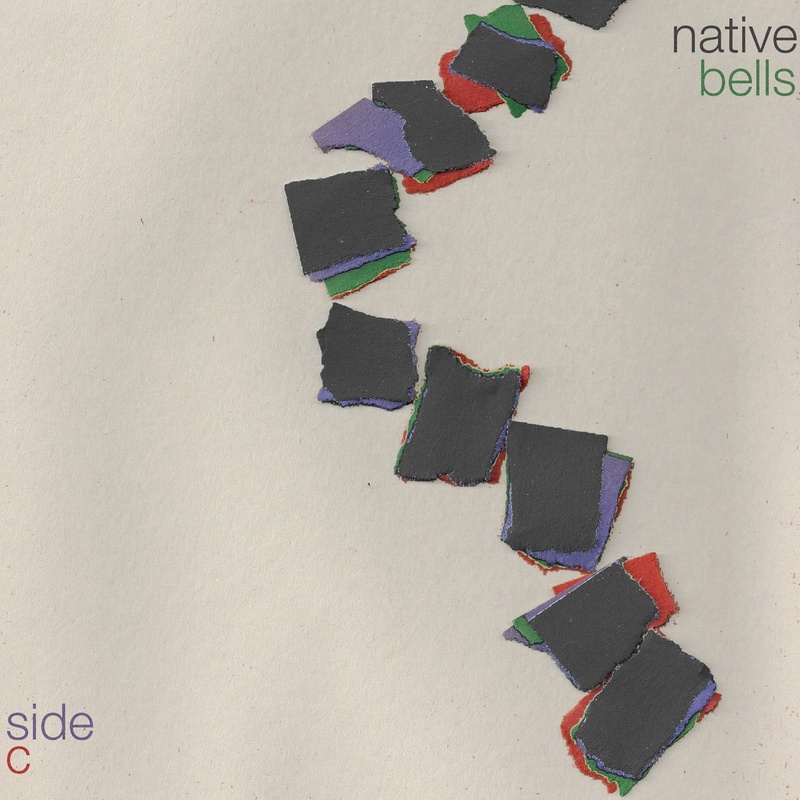 Sean Smither, using the moniker Native Bells, extends multiple arms with each hand scooping sounds from a different instrument. His newest self-titled release is a block of musical mass spanning across thirty-nine songs and four sides: Side A, Side B, Side C and Side D.
Smither, a percussionist at heart, studied jazz at the New School in New York City, and is currently teaching music theory at the esteemed Rutgers University. His experience with percussion lies at the frontal lobes of his creative brain and fuses with every instrumental undertaking. Every instrument here, he plays. “I prefer to hear Native Bells records as though it’s a band I love, not just me,” Smither said [previously in a QL interview]. It certainly sounds that way. Never once during the listening does it feel like this is a one-man show. His talent is spread so evenly that when it’s all over there’s a sense that Smither could make any album of any genre at any moment in his life. He squelches little drops from the sponge of musical exploration. There’s psych-rock, pop-rock, funk, trance, surf-rock and balls-out experimentation. Side A is the most pop-centric of the four. It starts off with a brief arpeggio calm before rocketing into a Flaming Lips burst of sunshine noise and vocals from the breeze. The first few songs come at you with foot-tapping, radio-friendly melodies. “Fallen Trees” is a bouncy, whistle-while-you-work song, straight and to-the-point like the theme for a children’s show. The midday jangle, “Let Me Be,” is about returning to New York City. “I’m goin’ back to New York City / I’m hopin’ they will let me be,” he sings. The percussion pops and clicks, pokes and slides in an uneven orbit around Smither’s sweet melody on “Juju (Straight Into My Heart).” It’s the sound of falling in slow motion through a beachside restaurant in Havana. Then, suddenly, cutting through the fog, comes “Day To Day To Day/Mierda,” a psych rock excursion through circus fairgrounds. With a voice imprinted in distortion, it grinds against surf rock drums and a wailing guitar. The songs here have the rare elements that make a song, even at first listen, feel instantly familiar, like you heard it when you were six. Smither is his own backup singer. He picks his spots to let his voice steer the composition. He sounds light-headed and sweet and strikingly similar to Andrew Herod, singer for little-known North Carolina group, The Comas. On “Gone As The Moon,” from Side B, he sets free a harmony entrenched in a percussive jungle and a bassline that tangles with the weeds. The song washes out to sea on a cresting wave of horns until the only thing left is a “Yellow Sky.” Built on a gloomy piano the song sucumbs to its own chilling buzz. Side B ends with the momentous arc of “White (Part 1)” and “White (Part 2).” Smither weaves his own voice, in various states of airy range, to full effect over simple plucking guitars. Frankly, it’s just beautiful. No instrument in his basement gets to relax and enjoy the scene. Every piece, and there are plenty, is used here. If you’re not into letting the music dissolve on your tongue, admittedly, your patience may wane at points. Between the more structured parts are cushions of snorkeled sound, atmospheric transitions, reprised songs, drunk drumming in darkened rooms. It’s Smither’s capacity to fill the void with things other than just songs that makes this collection so worthwhile. Songs are patched together arbitrarily sending the listener on an unknown voyage. 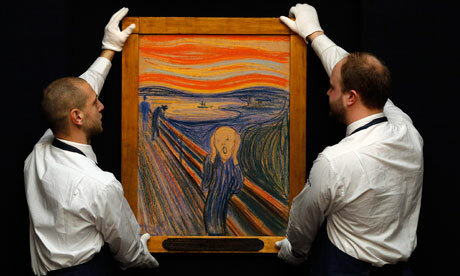 “The Scream” slips into a slow tide of effects spinning around each other and a rumbling beat. It is precisely how Edvard Munch’s famous painting by the same name would sound if you could duck your head inside for six minutes. The unencumbered hairs on your skin will stand at attention. When it starts to fade away, the silence is a curse. On “America,” glassy Christmas jazz drifts off and Smither’s voice floats over a lonely horn. “Rothko Chapel” is a wave of dark noise, while “Patterns In A Color Field,” is a hodgepodge of psychedelic abstraction. After being blindsided by black holes of noise in Smither’s universe, Side D returns to more concise arrangements. “I’ll Close My Eyes,” falls down a spiral staircase like a bag of bouncy balls and its sequel, “I’ll Close My Eyes Part 2: Phosphene,” churns out chopped and disjointed funk. Slipping back to the early 90s is the indie-rock jumpstart, “What Are You Gonna Do?” There truly is not enough ink in the pen to fully describe this gorgeous output of music. There is a simple abstraction in the sounds Smither creates. They are spread evenly across the four records. The production is full and appetizing, but doesn’t ever overcrowd the speakers. He takes his time getting from point A to B and it’s the journey that is so compelling. Each song feels like the beginning of a new path with a fresh color added to the pallet. This is a massive piece of work, expertly done, with a full understanding of the potential at hand. Smither doesn’t linger too long on his strengths, and expands and contorts his ever-shrinking weaknesses. It’s an attack that is sure to welcome him with longevity as he continues to ascend his own talents. 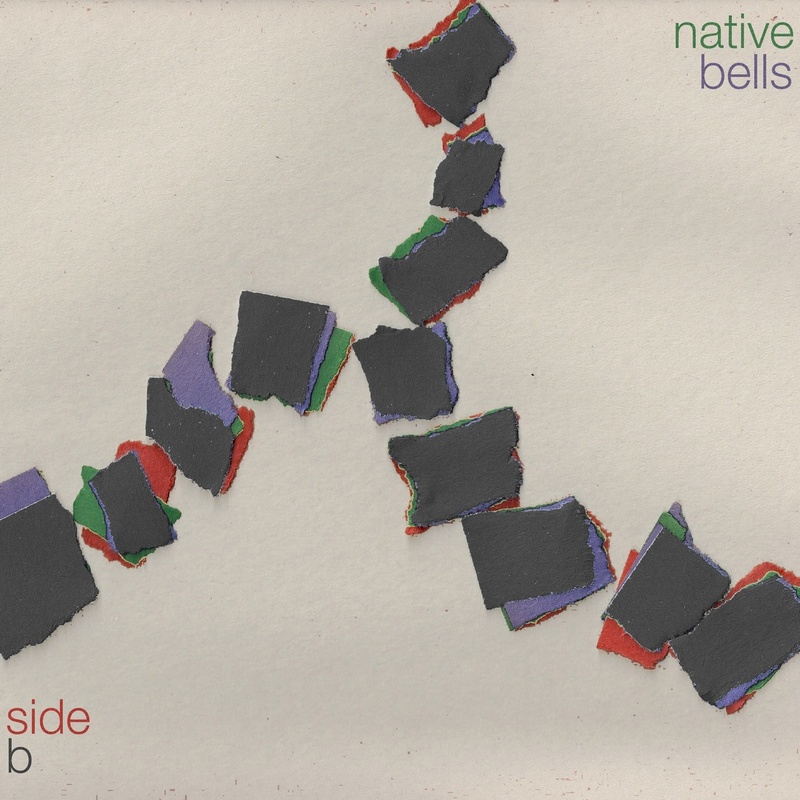 Hear Native Bells: Sides A–D and eight previous Native Bells albums on his bandcamp page. Born in Arizona, Eli Jace left the desert on a whim for Boston and wound up following the covered up and detoured paths of journalism. He doesn’t know how this happened. He’s written for The Berkshire Eagle and Somerville Scout before moving to New York City. 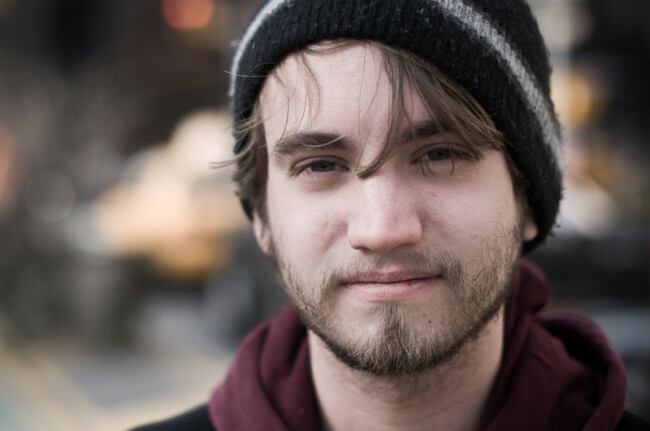 He works for the New York Post and writes for Independent Music Promotions and Quiet Lunch.